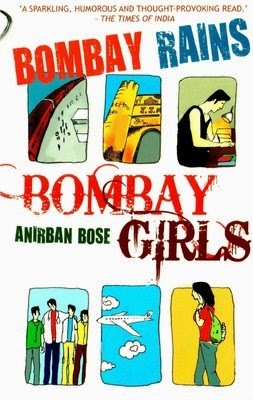 A doctor by profession, Anirban Bose is the author of the book Bombay Rains Bombay Girls and the short story collection Mice in Men. Other than writing, he is passionate about guitars, cricket and music. He is currently Assistant Professor of Medicine and Nephrology at the University of Rochester. The cover shows nuances of a city and college life. The back cover suggests such a theme, a small-town boy’s venture to the big bad city to study medicine, and the college life that follows. Do you remember the first day of your college life? I remember mine. It was difficult for me to talk to other classmates, except for the ones sitting on the same bench as I was. I was from the city, and my college had more number of small town students, who probably knew each other too. But I could feel the same difficulty for them to start a conversation with me as well. That way, it was easy for me to understand this awkwardness, the one the protagonist Adi feels when he goes to Mumbai for studying medicine. This book is about his experiences, starting from how their taxi driver gets beaten up when they (Adi and his father) first visit Mumbai to get him settled in to the new life. His life goes through the mostly expected nuances in college life like getting caught not paying attention in class, solving that dilemma and thereby finding himself more popular, the popularity increasing etc. It has heartbreak and new love, new friendships. It also has a lot of decisions, and some that he takes that defines who he is. It has politics and helplessness, even a murder. So…a lot of little things. The pace of the book is quite quick. The font is easily readable, and quite nice to read as well in this size. I wouldn’t be able to pinpoint what makes this book good. It has a good mix of emotions, and a plot that a medical student may understand more than me perhaps. It engages the reader for sure, so the narration is quite good. The viewpoints in narration were something that confused me to a little extent. And yes, a little predictable. I guess the part that felt the most natural was the nervousness that Adi feels in the initial chapters. Overall, an ordinary book. Nothing too good, nothing too bad. Quite decent.